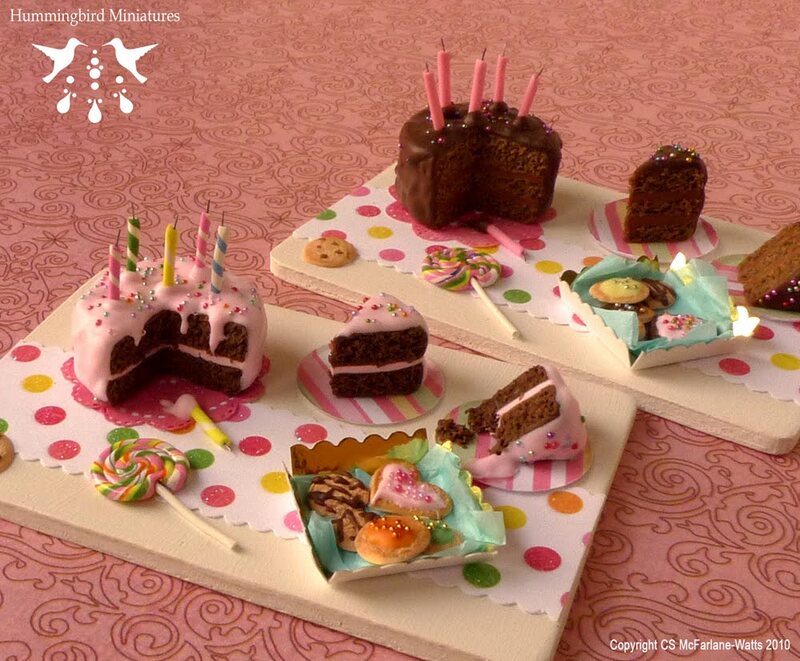 So take a look at my birthday cake boards! Each board has so much detail. 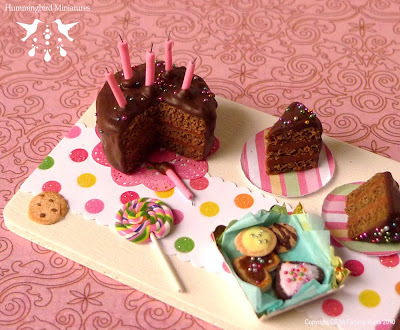 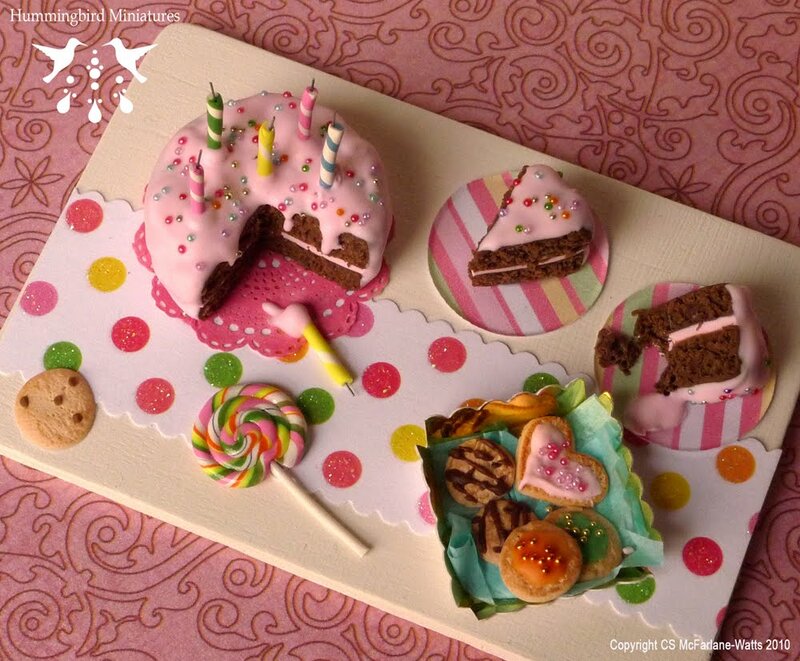 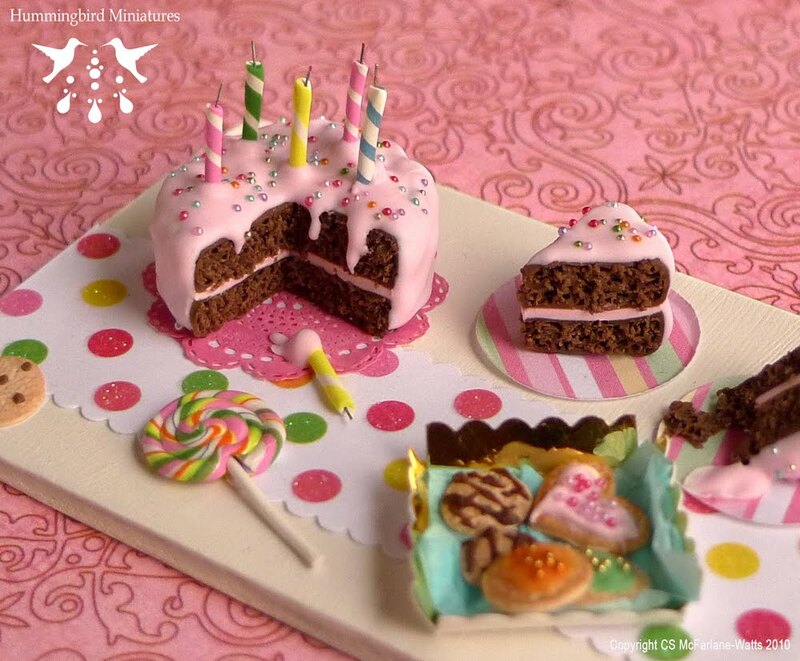 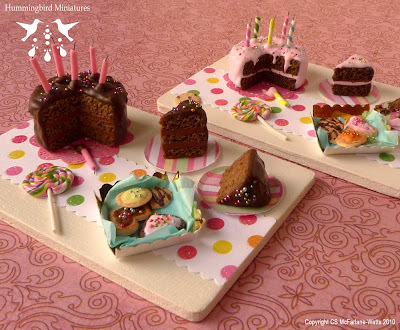 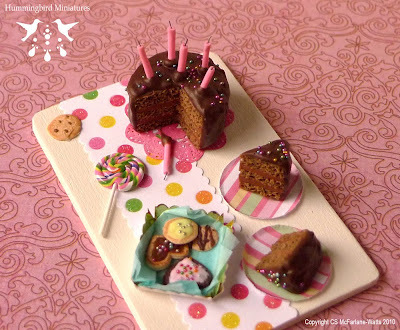 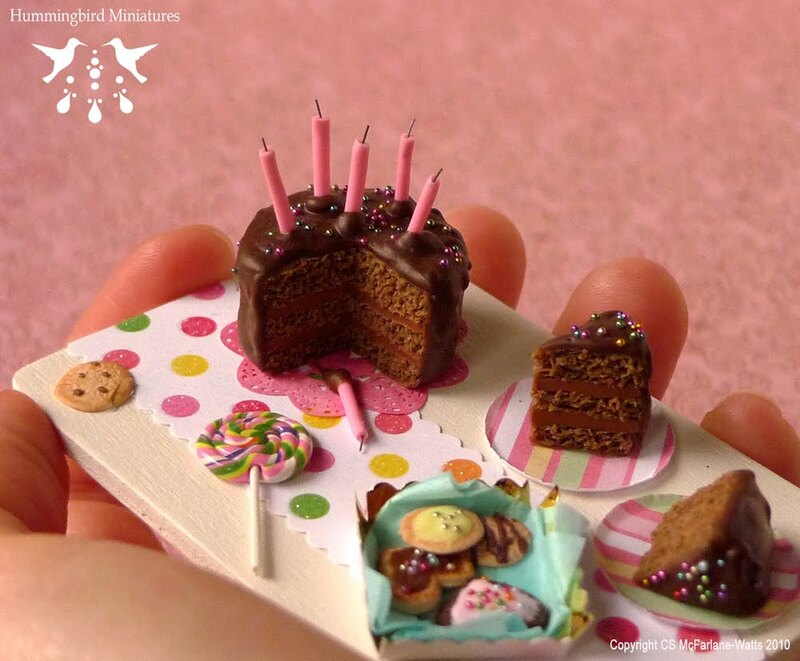 They include a cake with candles, pink doily, two party plates with two slices of cake, a lollypop and box of cookies! 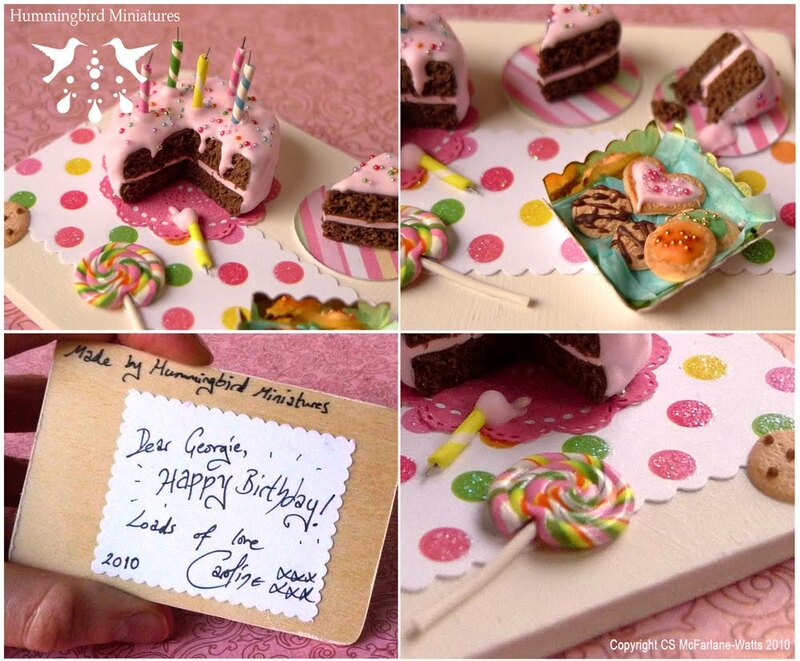 There is a tag underneath for your own birthday message. 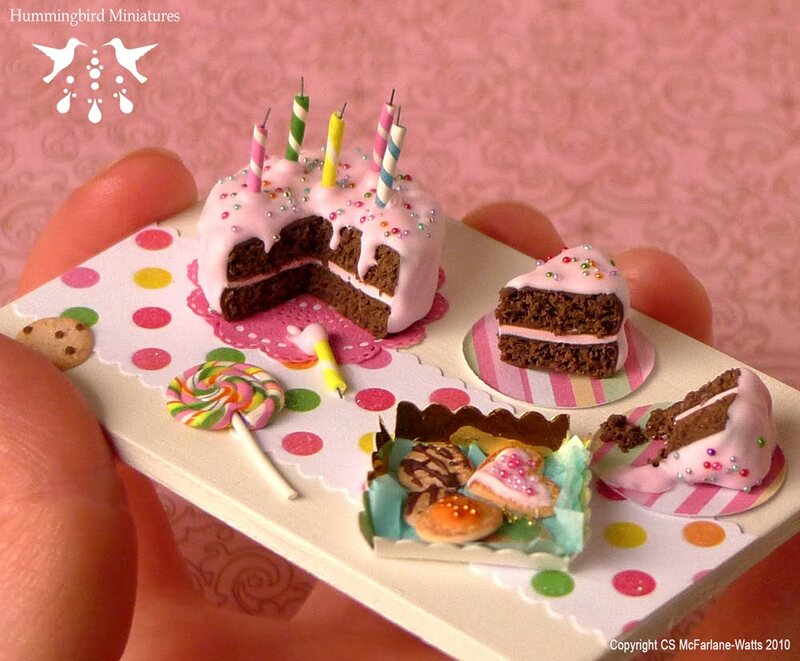 Great as desk ornaments if you don't have a dollhouse!